You know that old building in the middle of the roundabout? The one in the middle of the one-way system in Guildford? Well that’s us. We’re a theatre. A friendly riverside theatre that also shows films. Our family events are also rather good. 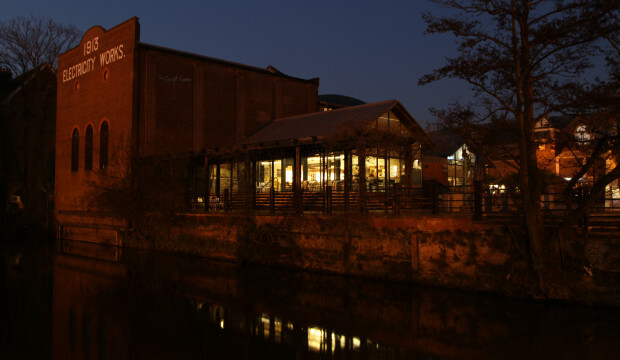 Oh…and we have a lovely riverside Café that serves coffee and nice tea. In fact, we do lots of nice things. The Electric Theatre’s programme includes music, drama, musicals, comedy, festivals, film, classes, workshops, relaxed performances, family events and more. We are also home to the Guildford Book Festival, Guildford Spring Music Festival and host events for Guildford Fringe Festival – plus have our own art house film and family festivals. Now that’s A LOT of festivals! Come and say hello sometime.